The Multihull Solutions Pittwater Rally is a casual event designed to be a social gathering of multihulls of all sizes enjoying a weekend of boating fun. The event is run as a true cruising rally through Pittwater with frequent stops for social functions, exploring and relaxing. “Fun” is the main focus of the event and great prizes will be awarded to those best embracing the spirit of the rally. 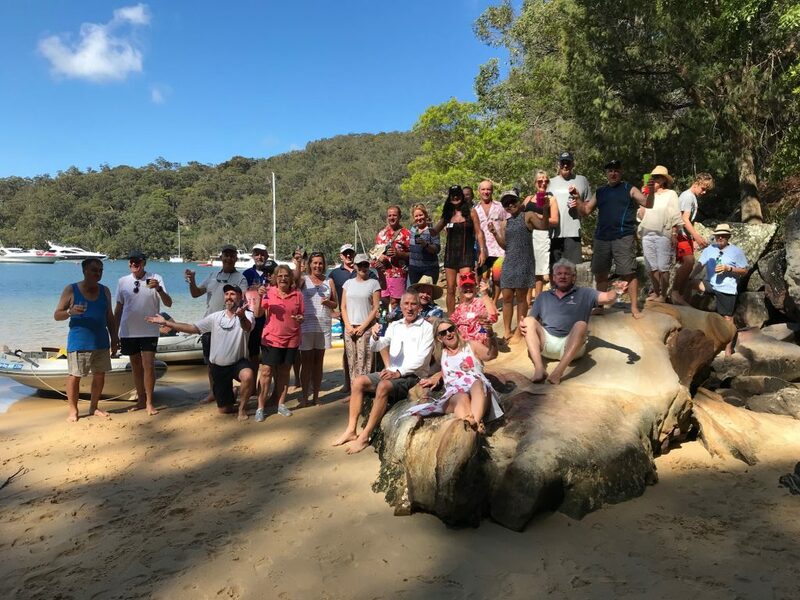 It is our aim to ensure all participants enjoy sailing in company with other multihull enthusiasts along with having time to gain and share knowledge and advice with fellow cruisers, meet new friends and enjoy the magnificent waters of Pittwater. Friday 23 November (afternoon) – WELCOME ABOARD! Welcome & Briefing function on the front lawn BBQ area at the Royal Prince Alfred Yacht Club. Collect your rally kits, enjoy BBQ buffet and drinks while meeting your fellow Rally participants. MEET THE FLEET Introduce yourself and your crew, as well as tell us whch country you will be representing and why for the “prix d’honneur” competition and “Around the world” party on the final night. Note: Own berthing must be arranged for this night. Anchoring available, along with public moorings nearby. Saturday 24 November – PRIX D’HONNEUR COMPETITION Cruise past the Multihull Solutions lead boat in your “Around the world” theme, dress up your yacht in your chosen country’s theme to win one of the exciting prizes on offer. BEACH PARTY! Cruise in company around Lion Island, before heading up the Hawkesbury and making your way to our anchorage for the night, Refuge Bay. Join us for an afternoon on the beach and experience the joys of our famous Prawn & Punch Party. Get your competitive juices flowing with our sunset beach games and joke competition while relaxing with tasty treats. Dinner at leisure onboard boats. Sunday 25 November – PRESENTATION & AWARDS NIGHT! Drop your mooring or up anchor before another leisurely cruise in company towards Pittwater in preparation for the Presentation Dinner & Awards Night at the Royal Motor Yacht Club! 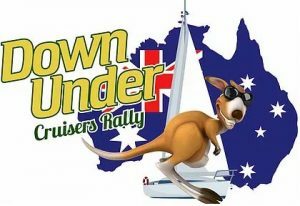 Don your craziest ‘Around the world’ costumes and enjoy pizza and Drinks on Down Under Rally while we present the awards for the 2018 Multihull Solutions Pittwater Rally. Have fun dancing the night away to celebrate the end of a memorable weekend. Note: Own berthing must be arranged for this night. Anchoring and public moorings nearby are also options for overnight. If you have any issues submitting the form or you don't have time to complete it, you can Save & Continue Later. Do this by clicking the "Save & Continue Later" button at the bottom of the form, and you will be emailed a link to return and complete the form later. *Dietary Requirements eg: vegetarian, vegan, allergies etc. **Adult (A) / Child (C) - Child under 12 years old. Please select below how many crew will be onboard (not including the skipper). Skipper is included in boat entry fee. Please select below the number of crew onboard not including the skipper. We are expecting enormous interest in the inaugural event and our team look forward to sharing with you an unforgettable line-up of fun – on and off the water! KEEN TO SPONSOR THE 2018 EVENT? If you are keen to sponsor or support this event in any way, please email Rachel for more details. For media enquiries please email Rachel for more information. Please feel free to print and hang this poster in your local sailing community! Please call Rachel on 1300 855 338 (within Australia) or +61 7 5452 5164 (outside Australia) or email Rachel with any questions or to find our more information, we will be only too pleased to assist!